7 Tools to Take Your Presentations from Blah to Aha! Presentations are officially becoming cool again. Gone are the days of the labor-intensive PowerPoint snooze-fest. Now, there are a ton of great PowerPoint and Keynote alternatives, along with additional services, to help impress your co-workers and clients. Here are seven online tools to create, enhance, and deliver memorable presentations. We love Prezi because of its innovative approach to cloud-based presentation software. According to Mashable, non-linear Prezi is a ‘next-generation tool that incorporates the concept of visual mind-mapping and a zoomable user interface (ZUI).’ That means you can literally zoom in and out on certain ideas, helping your audience focus on key points. You can add any media file to your ‘prezi,’ access it across all platforms, and share it with anyone around the world instantly. Feel free to start your project from scratch, or you can work from a selection of Prezi’s pre-designed templates. 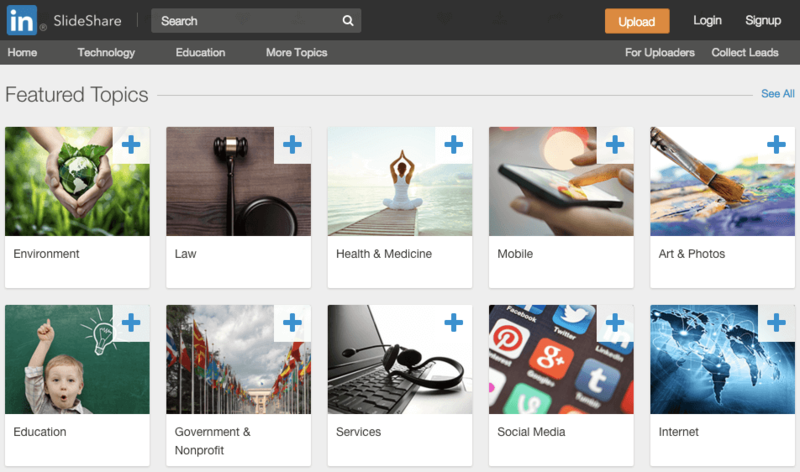 Your first few prezis are free, so try it out and see if this tool is right for you! Sales and marketing professionals love Haiku Deck because they can quickly create presentations that can be easily projected, shared, posted, embedded on a website or blog, or viewed on any web-enabled device. Haiku’s philosophy is ‘keep it simple.’ Sometimes called the Instagram for presentations, Haiku Deck likes to limit text, focus on one idea per slide, and feature high-impact images to keep formatting consistent. Fun Fact: Need help with public speaking? Private notes turn your iPad into a personal teleprompter! Do you have data you want to incorporate into your presentation in a beautiful and engaging way? 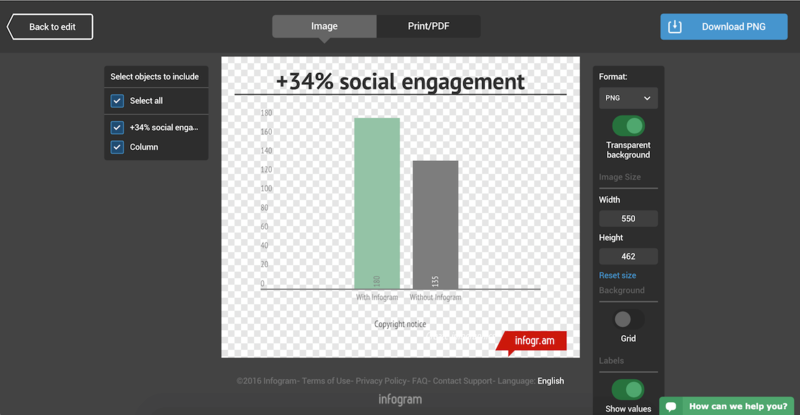 Infogram offers more than 30 different chart types featuring specially designed themes that make your data look great. You can embed interactive and responsive data visualizations into your presentations if you’re using Bunkr or any other HTML based presentation platform. Or, if you upgrade to one of our paid plans, you can download static versions of your charts and graphs to enhance your work. You can even make the background of PNG downloads transparent so they slip seamlessly into your presentation. With Projeqt, your presentations are as dynamic as you are. You can pull live tweets or blog feeds, add audio notes, or stream videos from the web. Projeqt combines a responsive design with an intuitive user interface, giving it a fresh feel. Projeqts are embeddable anywhere and easily shareable. You can upload old presentations that need a facelift, create one from scratch, or use Projeqt’s friendly dashboard for inspiration. Bunkr boasts itself as the presentation tool that lets you present everything. You can insert gorgeous images from multiple sources, social media posts, videos, charts (including Infogram), code, 3D models, GIFs, maps, audio, articles, files, and more! LinkedIn’s SlideShare allows you to share your corporate story, present industry insights, or market your business directly to an engaged built-in audience. A popular choice for sales and marketing professionals, SlideShare allows you to distribute your presentation to large groups of people, who can then easily embed your SlideShare on their websites or blogs, and share to social media. 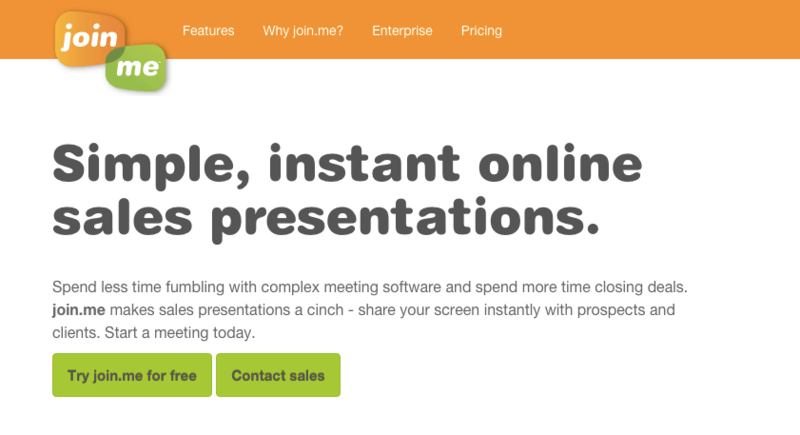 While join.me is a popular web conferencing service, they also make it really easy to share external presentations. Maybe you work remotely, collaborate with teams overseas, or simply want an easy way to share your projects with prospects or clients – join.me lets you share your screen instantly. Whether you’re speaking into your computer microphone, or in front of an auditorium full of people, we know these tools will help you along the way. Do you have another presentation tool you use often that we should add to our list? Leave it in the comments below! If you are interested in joining the Infogram community, our experts are always on-hand to chat. Feel free to schedule an appointment or visit our tutorials page to learn more.